As in so many cities on the European periphery, Kosovo’s capital Pristina is fundamentally shaped by emigration. Jonas König explores the departure city, where provisional structures become long-term solutions, and translocal spaces and networks are ever-present. Between January and June 2015, 28,672 Kosovan citizens applied for asylum in Germany (BAMF 2015); and 2,298 did the same in Austria (BMI 2015). Taken together, 30,970 or around 1.7 per cent of the Kosovan population aimed to leave their home country – in just six months, heading for one of just two destinations. Though the chances of Kosovans being granted asylum are negligible in both Austria and Germany, and applicants are returned via reception and deportation facilities to where they departed from, the figures show a tremendously high level of readiness to leave Kosovo among broad sections of the country’s population. According to a survey conducted by the Friedrich Ebert Foundation, around 55 per cent of Kosovans under the age of thirty wish to emigrate (Taleski and Hoppe 2015). What consequences does such a high level of readiness to emigrate have for urban development in the region? When it comes to the topic of migration, the dominant point of interest in urban research is the target location, that is, the arrival city (Saunders 2010). Migration is often reduced to new arrivals in a city and their more or less successful integration into the new society (cf. Gottdiener and Budd 2013). Associated research is clearly important in terms of understanding contemporary urban development – but it only deals with one side of the story. Migration is always both arrival and departure; there is no immigration without emigration. In the following, Kosovo’s capital city Pristina is conceptualized as a departure city1 – as a city in which space, as in so many other cities on the (European) periphery, is fundamentally shaped by emigration. This is not a process that can be equated with decline or shrinking, it is more complex than that. My analysis is based on both secondary sources and interviews with residents as well as representatives of the city’s administration. Emigration is more than a person’s sudden absence in a given location. In order to approach Pristina as a departure city it is important first to recall three central characteristics of the shifts in population brought about through migration. Migration only rarely results in a person permanently shifting their place of residence from A to B. The change in locations is more frequently temporary: relocation to another country or city only lasts for a certain time, during a specific phase in one’s life. Even in cases of long-term emigration there may be phases in which one returns to one’s old home voluntarily – or involuntarily, upon deportation due to the expiry of one’s residence permit. Secondly, migration rarely follows a direct route to one’s desired destination. Rather than proceeding from A to B, the route is more likely to go from A to Y, and via Z to B. Migration involves multiple diversions and stages. Fleeting in nature, their dynamics vary; spells of immobility precede each new departure. Delays and waiting determine the rhythm of migration flows. One must wait until sufficient funds are at hand, until the necessary visas and permissions have been granted. Thus migration does not begin with actual departure. It already begins in the first stages of planning and preparation, with the readiness to emigrate. Third, migration is a genuinely relational phenomenon; it produces complex relations between places (cf. Smith 2001). The phenomenon goes well beyond a mere change of place of residence. New relations already begin to emerge as soon as the move to another territory, to another city, becomes a real option; and these relations do not end as soon as the option becomes a reality. These relations are played out in part in the emigrant’s mind, where the target location begins to occupy more and more space. However, at the same time, social networks gain in significance – whether through previously established contact with those who have already emigrated or those who have yet to leave, or through entirely new contacts. As these translocal socioeconomic ties emerge, political conditions and interdependencies shift too. Thus the influence of target countries’ immigration policies plays a considerable role in local developments in countries of origin. Bearing in mind these three properties of migration processes, it becomes clear that a city shaped by emigration does not automatically have to be a city in decline. Even if the exodus of certain mobile groups of the population is a central element of a departure city, its development cannot be reduced to images of vacant buildings, the disappearance of city life and ruin. The urban space and the rhythm of the departure city is equally shaped by waiting for the temporary return of emigrants and associated preparations, as well as the relations that materialize as a result. Phases of departure and arrival flow into one another. The departure city can be a starting point or stopover as well as the ultimate goal, the desired or planned place of return, a place where emigrants leave behind fleeting traces. Despite the considerable influence of emigration, departure cities can grow, at least temporarily or structurally. In fact, at first glance, Pristina scarcely comes across as a city defined by shrinking and decline – far from it. Even if the figures concerning its current size vary considerably, it cannot be denied that the population of the Kosovan capital has at least doubled in the last 15 years.2 The city therefore ranks among Europe’s fastest growing capitals. One of the reasons for this growth is a higher than average birth rate; Kosovo has one of Europe’s youngest populations. Another is the repatriation of refugees after the end of the Kosovo War in 1999, as well as (and probably most importantly) an influx into Pristina of the rural population (cf. Vöckler 2010). This growth through migration is however hardly an expression of economic prosperity. For years, unemployment has remained constant at around 40 per cent – meanwhile, informal work is common. Kosovo belongs to the poorest of European countries. As such, things are only slightly better in Pristina, thanks above all to the presence of the national and international administration. Once one starts to examine the background to this migration, it is the group of repatriated refugees in particular that appears to consider Pristina a stopover. “I spent three years in Germany legally and altogether four years illegally in Germany and Belgium. Since being deported a year ago, I’ve been waiting for the next opportunity to leave the country”, says one interlocutor. This is a typical statement; a similar approach is widespread among those who have left the countryside: “I hate Pristina. It’s the pits. But here [in a kiosk] one can earn some money. And I need money in order to get out of here again”, reports a young man, who comes from a village close to the Macedonian border. Lack of finances is not the only impediment or cause of delay when it comes to emigration. In addition there are certain conditions attached to entering most of the viable target countries. Particularly after the latest restrictions put on the right to asylum in Europe, it is virtually impossible for many groups to leave Kosovo legally. Without a visa, Kosovans can only travel to Albania, Macedonia, Montenegro, Turkey (by air) and Serbia, with the latter viewing Kosovo as part of its own territory. Even those who receive an invitation and letter of support enabling them to apply for a visa are far from being guaranteed a straightforward journey to the desired destination. The process of visa application involves waiting and delays in the reception areas of consulates and embassies in Pristina that, together with the bus stop, airport, call shops and Western Union branches, constitute the infrastructure of emigration. It seems that Pristina’s growth is closely linked to a temporary surge, to the congestion created by legal and economic hurdles that a change in basic conditions would quickly disperse. Which is why, in many respects, Pristina resembles a waiting room that grows ever fuller, a meeting place for the streams of ready and willing emigrants and those continually returning home. And like a waiting room, Pristina’s urban space seems to be geared in its various dimensions toward an Elsewhere, towards migration’s desired locations, an Elsewhere that in many ways becomes tangible and productive in the urban landscape and in urban space. The swelling of Pristina’s population in the last 15 years has lead to a considerable increase in population density and to the expansion of the city’s area. The city’s layout is shaped above all by three factors that can be considered structural elements of the departure city. Firstly, provisional, informal solutions can be found everywhere in Kosovo’s capital, solutions that have in the interim become permanent. These include simple single-story buildings or structures atop the roofs of flats built under the Yugoslavian regime. The aim of these provisional structures was to provide private accommodation at short notice once the Kosovo War had ended. Where these have become long-term solutions, they have not lost their unfinished character. What has survived from this period – the single-family homes on the outskirts of the city as well as commercial buildings – complies with the language of Turbo Architecture (cf. Jovanovic-Weiss 2006): indeed, the mixture of various architectonic replacement parts is omnipresent in Pristina. 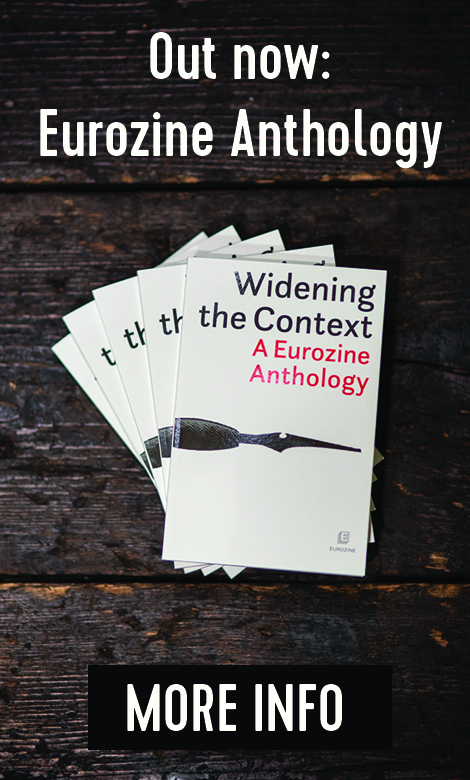 The imitation and recombination of the western styles seen in the media3 can be interpreted as the anticipation of or a substitute for emigration. The spread of Turbo Architecture is in large part linked to the investment by the Kosovan diaspora in property (cf. Vöckler & Zerr 2008). But this group’s influence on Pristina’s built environment is not restricted to investments. 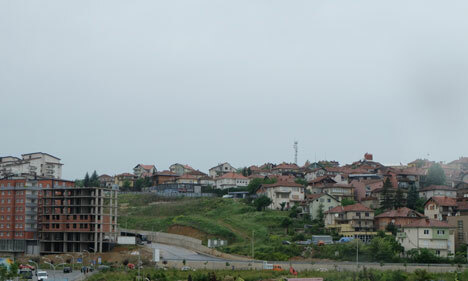 In recent years, numerous large apartments and single-family homes have been built around the centre of Pristina. In this context, emigrant Kosovans are buyers as well as investors. However, few of these second homes or potential retirement homes are actually in use. For much of the year, these buildings stand empty: “I only use two rooms here. My son built the [three-story] house three years ago; since then he was only here once”, says a Kosovan women, who lives north of central Pristina. When it comes to the built environment, the Kosovan diaspora is at once absent and present. Transfers made by the diaspora not only exercise considerable influence over what is built in Pristina, they also account for a considerable portion of GDP. This financial dependency is embedded in a tight, cross-border network of social relations. Almost every resident of Pristina either has a relative or friend in the cities of western Europe or has lived in these cities for part of their lives. Social life therefore switches between various spaces; as a result, the relational distance between Pristina and the (possible) target locations for emigration remains minimal. 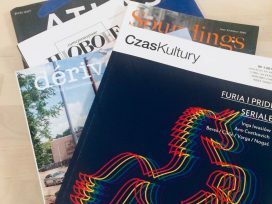 Knowledge of local events is frequently on a par with that of events in cities with a significant Kosovan diaspora community: “Via WhatsApp and Skype, I receive news ten times a day from Linz. All my friends are there. Whatever happens there I hear about immediately”, reports an interlocutor who lived there until his father fell ill. In Pristina, the relational proximity to Elsewhere results not only from relationships but symbols, too. Everywhere one finds names of places containing the names of the target cities or countries of emigration. In Pristina and its surroundings there is: a Swiss Diamond Hotel, a Swiss Casino, a Swiss IT-Factory, a Swiss Wellness Park and dozens of boutiques, hairdressers and restaurants that carry the names Swiss, Basel or Zurich. The Swiss flag, like that of the United States, Germany and Austria, is ubiquitous. It seems as if the idealization of target countries corresponds to the debasement of one’s own city and repeatedly negative descriptions of one’s own urban space (Norman 2014). Hell City is what one resident calls Pristina. In many ways, the conceptualization of Pristina as a departure city does not do the city justice. It negates the qualities of its urban space and the ties of many residents to their city, and overlooks the administration’s efforts and impressive local initiatives of architects and engaged citizens aimed at improving the local situation (Vöckler 2015). At the same time, in the context of Europe’s cities, Pristina is certainly a special and extreme case. Kosovo has some highly specific challenges, including its unclear status under international law, the presence of both international and supranational institutions, and a political system that is still under construction. Finally, Kosovo has experienced the far-reaching transition from a socialist to a capitalist economic system, a process that took place under specific post-conflict circumstances (cf. Vöckler 2010). Nonetheless: the highly visible presence of informal, provisional buildings, an architectural and symbolic language that can be interpreted as anticipating emigration, the significance of translocal spaces and networks as well as the considerable influence of the diaspora on the built environment and associated difficulties with regulating it in anything like a satisfactory manner – all these do not only shape Pristina’s development but that of numerous other urban spaces in (peripheral) Europe. All such elements are closely related to planned and stalled, to permanent and temporary emigration, and are not to be equated with decline and shrinking. It is particularly there, where political obstacles lie in the way of migration, that cities can at least temporarily or materially grow, even in the absence of supporting economic structures. This development may well spread as the reinforcement of borders to prevent migration takes on an ominous relevance. Notwithstanding Pristina’s specificities, the city appears to anticipate the problems of many other cities in which transitional phases can become permanently unstable conditions. But from this side of the border too, and not least with regard to the arrival of refugees, there is much to be learnt from the experience of the provisional and fleeting. BAMF, Bundesamt für Migration und Flüchtlinge (2015): Asylgeschäftsstatistik 07/2015, www.bamf.de. BMI, Bundesministerium für Inneres (2015): Asylwesen Juni 2015, bmi.gv.at. Brunnbauer, Ulf (2015): “Was ist der ‘Balkan’?” In: Archithese 45, no. 3, 10-16. Gottdiener, Mark & Budd, Leslie (2005): “Immigration and migration”. In: Budd, Leslie & Gottdiener, Mark (eds. ), Key Concepts in Urban Studies, Sage Publications, 61-66. Jovanovic-Weiss, Srdjan (2006): Almost Architecture. Akademie Schloss Solitude. Norman, Karin (2014): “Shifting experiences of places in a post-conflict city”. In: dérive 54 (2014), 37-42, and Eurozine, 12 February 2014, eurozine.com/articles/2014-02-12-normank-en.html. Saunders, Dough (2010): Arrival City: How the Largest Migration in History is Reshaping Our World. Vintage. Smith, Michael (2001): Transnational Urbanism: Locating Globalization. Blackwell. Taleski, Dane & Hoppe, Bert (2015): “Jugendliche in Südosteuropa. Lost in Transition”. Friedrich-Ebert-Stiftung, library.fes.de/pdf-files/id-moe/11503.pdf. 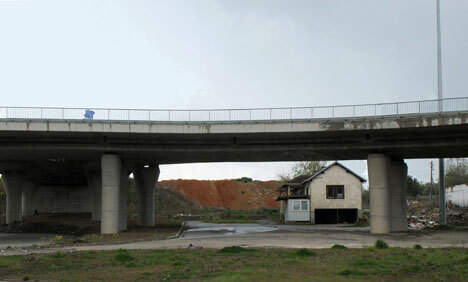 Vöckler, Kai (2010): “Turbo-Urbanism in Prishtina”. In: Dmitrieva, Marina & Kliems, Alfrun (eds. ), The Post-Socialist City: Continuity and Change in Urban Space and Imagery. 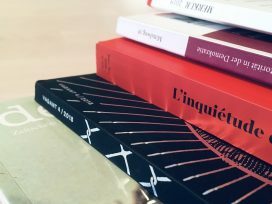 Jovis Verlag, 210-29. Vöckler, Kai (2015): “Agenden des Wandels. Wie Architekten und Urbanisten in Südosteuropa ihre Städte verändern”. Archithese 45, no. 3, 76-81. Vöckler, Kai & Zerr, Irmgard (2008): “Translokaler Urbanismus: Die Diaspora als Stadtentwickler”. In: Vöckler, Kai (Hg. ): Prishtina is Everywhere. Turbo-Urbanismus als Resultat einer Krise. parthas verlag, 185-95. Concepts that couple an attribute with the word city tend to suggest that the logic of urban development can be reduced to a single variable or dimension. This is of course not the case. The situation in Pristina cannot be explained merely with reference to emigration alone; at least as important for understanding the city are various processes of transformation, the effects of the Kosovo War and the country's ambiguous standing under international law. Excluded from these figures, but not going entirely without mention here, is the almost complete expulsion of the remaining Serbian population from Pristina during 2004. For the conceptual construction of the binary opposition East/West as well as that of the Balkans as a stopover, see Brunnbauer (2015).